This is volume 2 of my history of mostly, but not exclusively, English dolls' houses. I have just heard that they should be here on 3rd January, so please click on "book orders" in the side bar to buy your copy, or contact me (also in side bar) if you would like to make any other enquiries about it. The price will be the same as last time, £60 + p&p. Please don't panic if the shipping initially seems too expensive. When you check out and enter your address it adjusts it according to where you are. For some unknown reason it seems to think everyone lives in America! Your treat no 2 came in this morning!!!! I couldn't write before as I was too busy taking a first "tour" of it. OMG!!! It is as perfect as volume 1...I am over the moon and on cloud 9! This is the best gift I could give myself and the absolute best start to 2018! Thank you, thank you, thank you for bringing about such treasure of information. I am truly at a loss for words...I need to go back to perusing!!! Best regards and congratulations for a work of art! Claire...in awe!!!" "12.05....Love your book....you are a genius!!!! Linda"
"What can we say, another exquisite volume. Congratulations! Thank you for your passion, enthusiasm and hard work, and for the pleasure, interest, and education you bestow on your readers. Thank the powers that be for Liza. Carrie & David." Just a huge thank you for the wonderful No 2 book, it’s beautiful just like No 1 . All the hard work, dedication & research! Feet up this afternoon, pot of tea, & a jolly good read. "Thank you so much for another exquisite book, and the perfect companion to book 1. Both are a treasure trove of beautiful images and interesting facts, which just wouldn't be the same without your inimitable writing style. As an avid bookworm with a rather large collection of books on dolls houses, there is no doubt this pair are my absolute favourites, and if anything unfortunate were to happen at home they would be top of my rescue list! Your hard work & dedication to both books is very much appreciated. Cath"
"Oh Liza. The book arrived today, and it is indeed a worthy companion volume to the first. These houses are profoundly seductive, and as with the earlier ones you show and tell the reader all the details one most wants to know. Thank you so much. Both your books are cheap at the price. You’ve done a wonderful thing by writing and publishing these two volumes. "Delighted to have this gorgeous new book, which makes a perfect and wonderful pair! 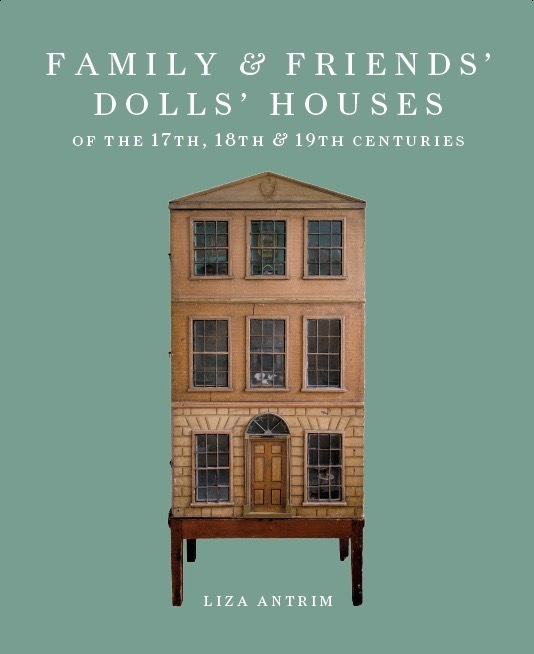 The dolls’ houses and contents are beautiful beyond anything and your knowledge, descriptions and original research make these the perfect reference books we longed for. Congratulations and thank you. Helen." Today was heavenly. I was able to open your parcel and marvel at the contents. Thank you so much for signing my book. I adore the format. How lovely to see each house in isolation and then, like magic, be transported inside each room. My want list keeps growing!! Thank you again for such a wealth of information. The photographs and quality of paper is superb. If you ever think about a third publication please put my name down on your reserve list. Your books hold a very special place amongst my fascination for dolls’ house literature. With all good wishes, Catherine.